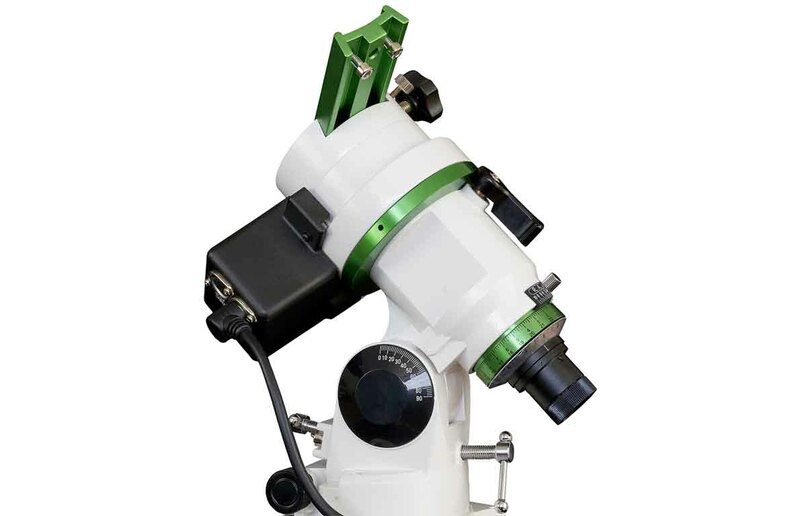 Designed for small- to medium-aperture refractors and Maksutov-Cassegrain optical tube assemblies (OTAs), the Sky-Watcher EQM-35 EQ GoTo Mount is an ideal mount for most astrophotography and visual astronomy needs. 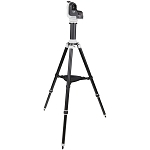 With a 22-pound payload capacity, two counterweights, and a Vixen-style dovetail saddle, the mount is made to deliver the smooth movement and tracking required for long-exposure shots. 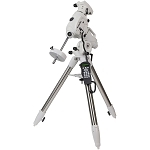 The equatorial design and built-in polar alignment scope allow for fast and precise alignment with the capability to track along the right ascension axis and avoid the field rotation that alt-azimuth mounts suffer from, maintaining the subject's orientation throughout the exposure period. 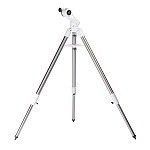 Removing the declination assembly allows the use of optional Star Adventurer L-brackets or ball head adapters, turning the mount into a heavy-duty tracking system for wide-field photography of the star field and Milky Way galaxy with a camera and lens. The brain of the mount is the SynScan hand controller. 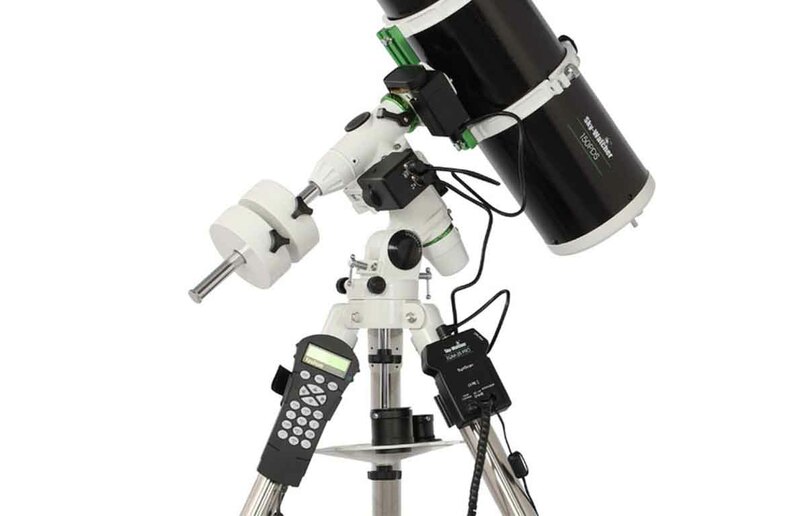 This system has an internal database of 42,900+ celestial objects, multiple daytime and nighttime alignment-assistance procedures, deep-sky tours, and updatable firmware. Periodic Error Correction (PEC), backlash compensation, and Pointing Accuracy Enhancement (PAE) systems allow you to improve the slew, GoTo, and tracking performance over time to make the mount more precise as you use it. 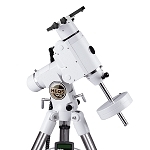 With multiple slew speeds and automatic tracking capabilities, finding and keeping objects centered in the field of view is easy whether you're viewing the fast-moving Moon or much slower deep-space subjects. 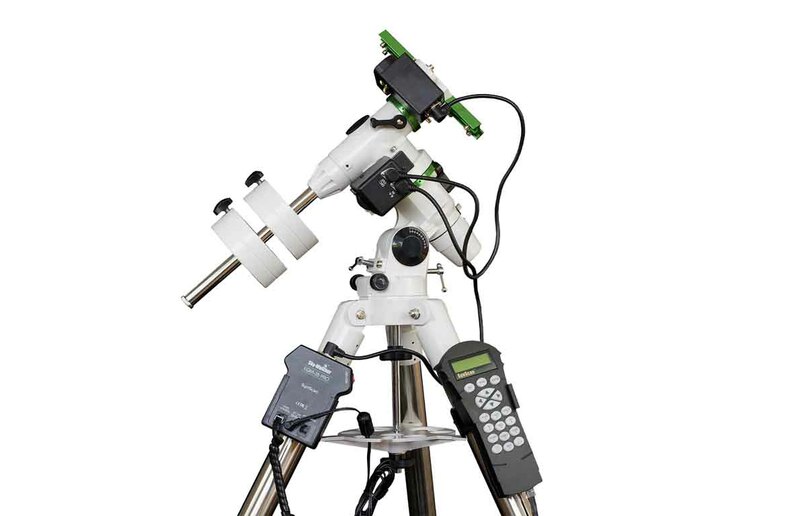 Whether you want to view celestial objects, photograph them through a telescope, or simply take wide-field shots of the stars, the EQM-35 EQ GoTo Mount will handle it all with precision. Box Dimensions (LxWxH) 42.0 x 17.0 x 9.0"